What documents do I need to Enter and Exit the Country? Passport – is required to enter and exit the country. You are required to carry your Passport with you at all times. If you are stopped by officials, a photocopy with your picture, passport number and entry stamp will usually be acceptable. Be sure to keep your Passport in a secure place at all times. Travel Itinerary – a copy of your flight itinerary showing your scheduled flights. No Visa is currently required for U.S. citizens. Non U.S. citizens should check with the nearest Costa Rican embassy or consulate for the latest in required travel documents. A valid Driver’s License must be carried at all times when driving. What are some of the things that I should NOT forget to bring? Everyday items: Many, if not all, everyday items can be found at Pharmacies or Hotel gift shops – pack more if you are taking a prolonged “nature” expedition in rural areas. Will I need to bring an electricity converter? Electrical power in Costa Rica is the same as the U.S. (110 to 120 volts AC). Will I be able to use my cell phone in Costa Rica? Yes, but it depends on your cell phone as well as your service plan. Some cell phones will not work outside of the country where they were purchased. But if your cell phone is capable of handling international calls, you also have to be sure that Central America is within your service area. Most plans offer reasonable rates. Or, you have the option of purchasing a cell phone to use just while in Costa Rica. In some areas, you can find an Internet Café that offers telephone service by the minute. A final alternative is to purchase a local telephone calling card for use with land lines to make international or local calls. Some U.S. and Canadian airports offer non-stop service. However, there are also many good connections available. There is a departure tax of US $28 on international flights. Currently, only cash or Visa Credit Cards are accepted for payment. Once in Costa Rica, how do I get around? Domestic bus service – There is an extensive route system for buses with frequent itineraries linking San Jose with many popular towns, cities, seaports and tourist areas. Taxis and rental cars are necessary for more rural areas. Taxi’s – make certain it is a licensed taxi which are red with medallions (yellow triangles containing numbers) painted on the side. Licensed taxis at the airport are painted orange. Rental cars — most major carriers are represented plus a number of local companies with competitive rates. 4-wheel drive vehicles are recommended if you are traveling to the more rural areas. The driving age is 18 and over but foreigners must be 21 years old and should always carry a valid driver’s license and passport. Unless otherwise specified, the water is generally safe to drink in all areas of the country. Still, some people prefer to drink bottled water, especially while touring. You will be 6 hours behind Greenwich Mean Time (GMT), which is equivalent to Central Time in North America. There is no Daylight Savings Time (so Mountain Time during this period). How much Spanish do I need to know? Costa Rica’s official language is Spanish, so knowledge of basic terms and phrases is always helpful. However, most Costa Ricans can understand and speak a little English. In Hotels, Restaurants and Tourist areas, there is always someone on staff that is fluent in English. What vaccinations should I have prior to visiting Costa Rica? Some vaccines are recommended or required for Costa Rica. The CDC and WHO recommend the following vaccines for Costa Rica: typhoid, hepatitis A, hepatitis B, rabies, measles, mumps and rubella (MMR) and influenza . First, as with travel to any country, you should check to see if your current Health Insurance covers medical emergencies outside of the U.S. If not, you may want to purchase the appropriate coverage from your provider or another source. In Costa Rica, there are private insurance companies which offer full medical insurance, similar to Blue Cross/Blue Shield. You can also purchase emergency Medi-Vac coverage. What about Health Care in general? Costa Rica has a top-notch medical system with a large number of U.S. trained and/or English speaking doctors. Top quality hospitals are found throughout San Jose and some of the other areas with large populations. Clinics are available in the smaller populated areas. Just click here to get more information. Does calling 911 work for emergencies? Is there much crime? How safe will I be? Crime is a significant concern in Costa Rica, and it has steadily increased over the past few years. While the vast majority of visitors do not become victims of crime, all are potential targets for criminals. Petty theft crimes remain the main problem, although armed robberies have been known to occur even in broad daylight. The majority of crime and safety threats to U.S. official and private communities are acts of theft. Thefts are very common in highly populated and tourist areas. Types of theft that commonly occur are vehicle burglaries, smash-and-grabs, home robberies, pickpocketing, mugging, and purse/wallet snatching. Serious crimes against visitors (armed robberies, sexual assaults, murders), although less frequent, do occur. Be sure to exercise caution, as you would anywhere in the world – just because the crime rate is low does not mean it is non-existent. For general information about appropriate measures travelers can take to protect themselves in an overseas environment, see the U. S. Department of State’s pamphlet A Safe Trip Abroad. "Current travel advice puts the facts out there, it doesn't warn against travel to Costa Rica," Chris said. "Costa Rica is still a safe destination. There are a very small percentage of tourists that get into trouble. It can happen in any country in the world. Certainly in terms of security, there is no major threat to any tourist visiting Costa Rica." Chris Campbell, British Ambassador to Nicaragua. The bad news is that the 576Km2 province of Limón with only 47,558 inhabitants remains the region with the highest homicide rate of 35 per 100,000 inhabitants but the good news according to the OIJ is that overall 70% of the 2010 homicides are resolved. What about Credit Cards and currency? Most credit cards are widely accepted. Additionally, U.S. currency is accepted throughout the country, so there may be no need for currency exchange. Many ATM’s dispense both U.S. dollars and Costa Rica colones. Traveler’s Checks are accepted, but are sometimes a hassle to redeem. What guidelines can you give me for tipping? Dining: Most restaurants add a 10% tip automatically to your check. Some people want to add something extra if the service or food was exceptional. Taxis: Tips are generally included in the cost of your fare. Maids, Bellhops, Shuttle Drivers: US currency is accepted, and usually $1 or $2 is appropriate. Tour Guides: Depending upon the extent of the tour, usually $5 is enough. The beaches all look beautiful, can I go swimming anywhere? Not everywhere -- in some areas of the Caribbean and Pacific coasts, the ocean and its currents can be deceiving. Always be respectful of strong waves, riptides and the ocean in general. You must exercise caution as you would on any beach. Best to check with your hotel or local contact for specific conditions. I’ve heard that Costa Rica is a beautiful country, but that there is also some poverty. What can I expect to see? Yes, there is poverty in Costa Rica, as there is in any country. Many of the poorer areas are on the outskirts of San Jose. Prior to the global economic crisis, Costa Rica enjoyed stable economic growth. While the traditional agricultural exports of bananas, coffee, sugar, and beef are still the backbone of commodity export trade, a variety of industrial and specialized agricultural products have broadened export trade in recent years. High value-added goods and services, including microchips, have further bolstered exports. Tourism continues to bring in foreign exchange, as Costa Rica's impressive biodiversity makes it a key destination for ecotourism. Foreign investors remain attracted by the country's political stability and relatively high education levels, as well as the incentives offered in the free-trade zones; and Costa Rica has attracted one of the highest levels of foreign direct investment per capita in Latin America. However, many business impediments remain, such as high levels of bureaucracy, legal uncertainty due to overlapping and at times conflicting responsibilities between agencies, difficulty of enforcing contracts, and weak investor protection. Poverty has remained around 20-25% for nearly 20 years. 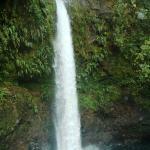 Costa Rica has become one of the most popular travel destinations for international travelers. It is often called "the Switzerland of Central America." Political Stability – Costa Ricans are very proud of their democracy, one of the oldest in Latin America – over 100 years, and peaceful history. Through its constitution, the country abolished its army in 1948 and invested the resources previously committed to military defense in education and health initiatives. Over 80 percent of the citizens participate in the political process. 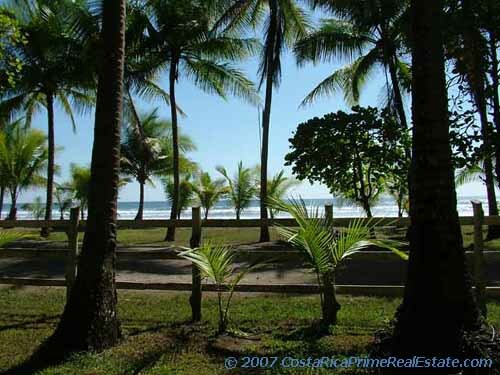 The People – Costa Ricans, or “Ticos,” are happy, friendly and gracious people. Their common greeting is “Pura Vida!” There is a prosperous and growing middle class. The 93 percent literacy rate is the highest in Latin America. Education is free and compulsory for all children and youth. The Costa Rican health care system, modeled after the Canadian system, includes both public and private care providers. The life expectancy for Costa Ricans is the same as for Americans. Costa Rica comprises only 0.01 percent of the earth’s landmass (less than 20,000 square miles), yet it is home to five percent of the planet’s animal and plant species. There are more species of plants and animals per acre in Costa Rica than anywhere in the world. Biodiversity is evident everywhere: 10,000 species of plants, 850 species of birds, 800 species of butterflies, 500 species of mammals, reptiles, and amphibians. You don’t have to travel far within the country to experience a different and unique ecosystem: mountains over 12,000 feet; active volcanoes; cloud and rain forests; waterfalls and tropical jungles; banana, sugar, pineapple, coffee, and papaya plantations; mangrove forest and coastal swamps; and beaches and marine environments that support a variety of water fowl, fish and crustaceans. Approximately 30 percent of Costa Rica is protected as national parks, biological and archeological reserves, and wildlife refuges. March 19 - Saint Joseph’s Day, patron saint of San Jose and San José province. Easter - Holy Week (Semana Santa). Dates vary annually. July 25 - Guanacaste Day, marks the annexation of Guanacaste from Nicaragua in 1824. October 12 - Día de la Raza Carnival, held the week prior to October 12 (Limón).